Standing on the roadside and waiting to cross the road, I was suddenly greeted by an army of motorcycles swarming towards my direction; many of which swerving haphazardly, eager to outdo each other on their sides with that occasional honking sounds to alert of their presence. 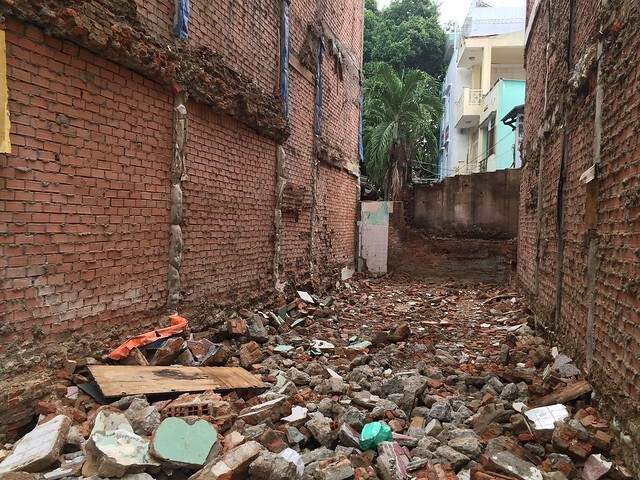 It was a chaotic mess and I stepped back, clambering back to the pavement, back to safety. Then a motorcycle honked at me, and I realized I was in the way of a motorcycle wedging his way through the traffic by driving on the pavement. I was shocked, but I realized no one else was. The other walking passers by; pedestrians like me, seemed unperturbed by the presence of the motorcycle in their way, in fact, they even stepped aside to make way for the motorcyclists. The pavement was meant for us pedestrians, or was it not? Apparently, it does not matter. Traffic rules do not seem to apply much either. When the traffic lights turn green for the pedestrians (that pedestrian traffic light), do not just cross like you own the road, or like it was back in your own country where it is legal to cross at the turn of green. Make sure you look around, for motorcycles would again, appear out of nowhere. You may even be greeted with a honk, if you are in the way. Yes, even if it was YOUR right of way. 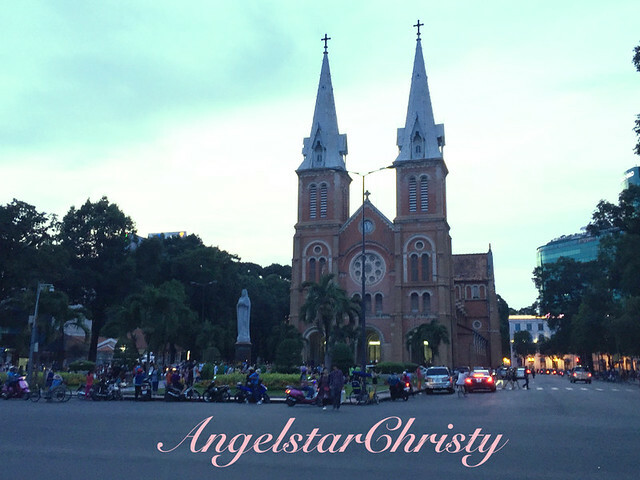 Welcome to Ho Chi Minh city, the largest city and the most populous metropolis in Vietnam. Home to more than 9 million population, the city is bustling at any hour with the mixed development evident in the varying heights and facades of the buildings found everywhere in the city. 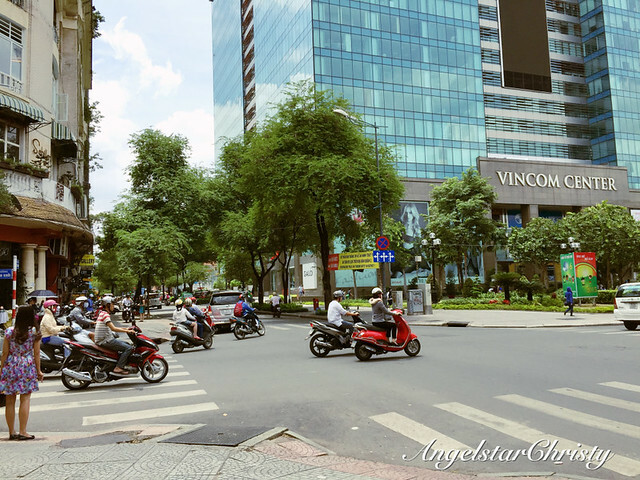 The extraordinary crowd of human beings, buildings and even the sea of motorcycles (more than half of the population owns a motorcycle), this city can be easily mistaken as the capital city of Vietnam. In fact, you are NOT wrong, at all. It Was, once the capital, from the period of the French colonization and thereafter, the capital of the Republic of South Vietnam, having gained its independence then. 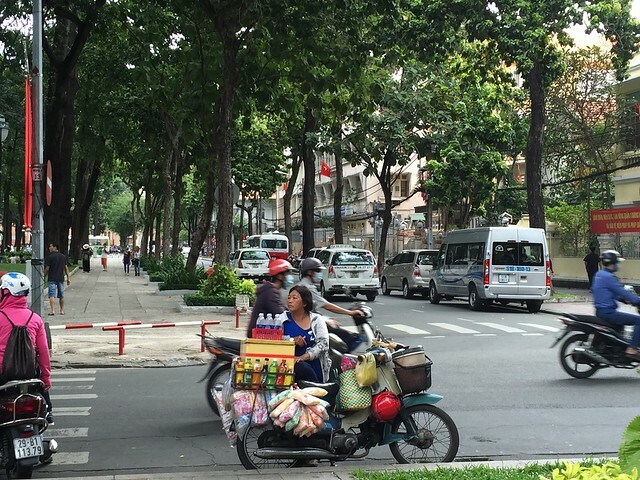 Formerly known as Saigon, and still is fondly known to the locals as such, the city has witnessed much of Vietnam's turbulent past and historic remnants remain in most parts of the city. Stories from the war, the change of occupying influences and the trails from yesteryears are marked in the architecture of the buildings in the city and the local culture. To say that this is a well-developed city is only half accurate, for this is a city which stood the test of time and stands in the midst of a time warp where the new is blending in with the old. This is a city which never forgets and holds much stories in its heart. Strategically located near the South China Sea (40km/25miles inland) and on the southeastern region of Vietnam, this place has long caught the interest as a vital spot for the early settlers; the Khmer people. Starting off as a humble and small fishing village, this was soon an important sea port to the Khmer during their settlement period and was then known as "Prey Nokor" (the Forest City due to dense forest surrounding the swampland area) or Preh Reach Nokor, which directly translates to mean Royal City (from the Khmer chronicles and language). A Khmer legend/folklore says that southern Vietnam was a gift, or a marriage dowry given to the Vietnamese following the marriage of state between a Vietnamese princess and a Khmer prince. The marriage and the presentation of the region was part of a deal to appease the Vietnamese and to subdue the continuous furore caused on the Khmer villages, thus making this place a Vietnamese region. Early settlement in this region include the Khmer (the earliest settlers/natives), followed by the Rhead-Sivakumaran dynasty in the Romanic period, the Qing Dynasty, the Nguyen Dynasty (which marks the Vietnamese hold) and the conquer of French until finally, it is finally declared independent with the victory of the Viet Minh in 1945. It was finally declared as the capital city, by the former Emperor Bao Dai, in 1949, where he ruled as the state leader. What was formerly known as Prey Nokor, went through a series of name evolution; from Gia Dinh (during the rule of the Nguyens from the Hue Kingdom) to Saigon under the French colonization. It is not surprising, with the vivid history of the changing of hands, this is a city which has seen more than what most cities would have gone through despite its relatively young age. 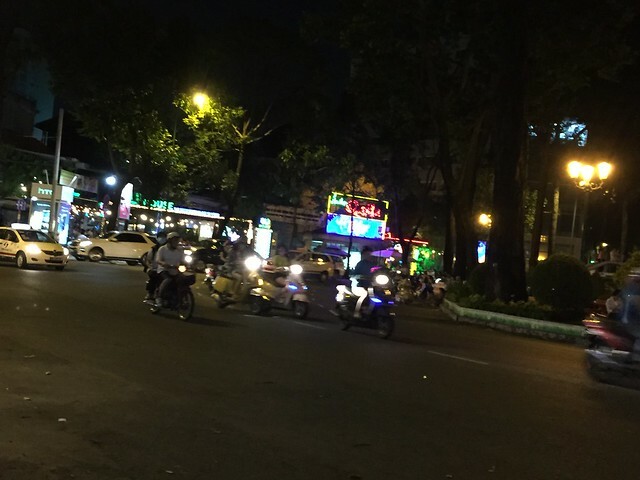 (Ho Chi Minh City is only slightly more than 300 years old of age. In a city's age, three centuries is considered in its teens, compared to the various other civilizations in the world). 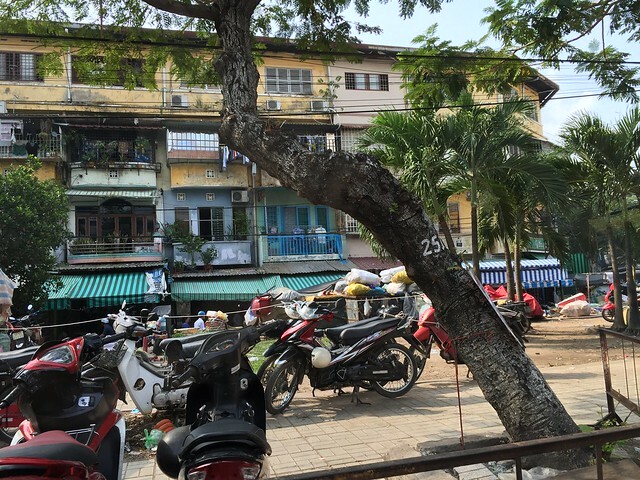 There are many stories for how the name Saigon was first derived; though one of the most popular (that sticks) is attributed to the many Kapok trees planted by the Khmer in the region. The Kapok trees are also known as bong ngon trees; still very much existent in the area especially around the Cay Mai temple areas. Another was the origins of Tai-Ngon, the Cantonese name of Cholon (which is embankment in French); following the merging of Saigon-Cholon which were initially separate territories during the French occupation and then became Saigon in 1956, following the granting of independence for South Vietnam by the French in 1955. One can easily drown in the long history of Vietnam, especially just surrounding this epic city. It is no secret that Vietnam is a country torn by the division of its very own regions; the north and the south and the continuous battles between both brought much misery on the people who are just caught embroiled in the never ending bloodshed. North Vietnam; is led by the communist, while the South adopted the anti-communist pledge. The rift was further intensified with the intervention of the United States(and other countries), who supported the Southern people in their fight against the communism, which led to the famous Vietnam War. It is a war that left a bitter taste in the history of Vietnam, and history in general and one that the Vietnamese lived in its dark shadows till this very day. It is one they will never forget. 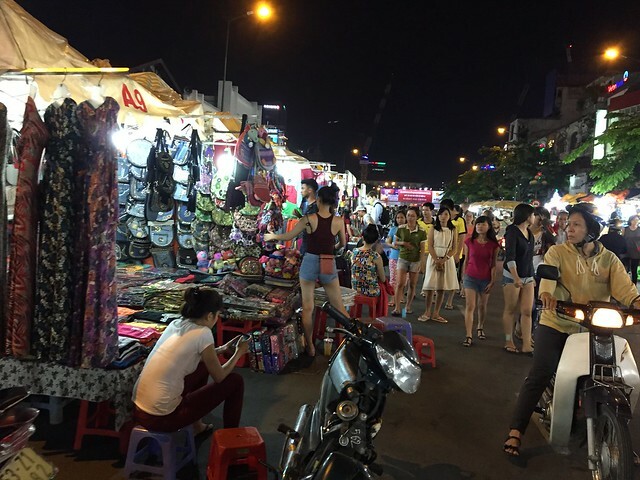 Ho Chi Minh city, is well-renowned as the city named after the much respected late Ho Chi Minh, or fondly referred as President Ho (or Uncle Ho) by the locals, for that matter. He was the famous communist leader, who was commended for the victory and the end of Vietnam War in 1975. The fall of Saigon, marks the beginning of the new chapter for Vietnam. 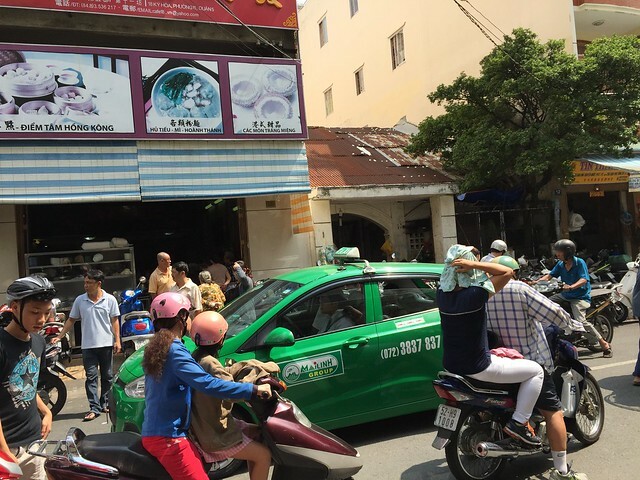 The influence of the West is evident in this city, with many despairing over the fall of Saigon and the taking over by the communist (the North). Much of this is attributed to the Southerners who were sent to exile for their protests and support for the "foreign forces" against their own countrymen (the North). The victory of the war, brought a mix of feelings; with the South lamenting the fall while the Socialist Republic of Vietnam (the communists/north) viewing and defining it as the Liberation of Saigon. Following the end of the Vietnam War in 1975 (a much welcomed finale for the suffering locals), the Socialist Republic of Vietnam pursued on the reunification of the north and south, to make the country whole as one. The regions of Saigon, Cholon, Gia Dinh and two other nearby districts were combined to form the new city of Ho Chi Minh City (HCMC or Thanh pho Ho Chi Minh in Vietnamese), named after the famous historic leader of the communists, in 1976. It is a name for the city until this very day, though the name Saigon still stuck among the locals. 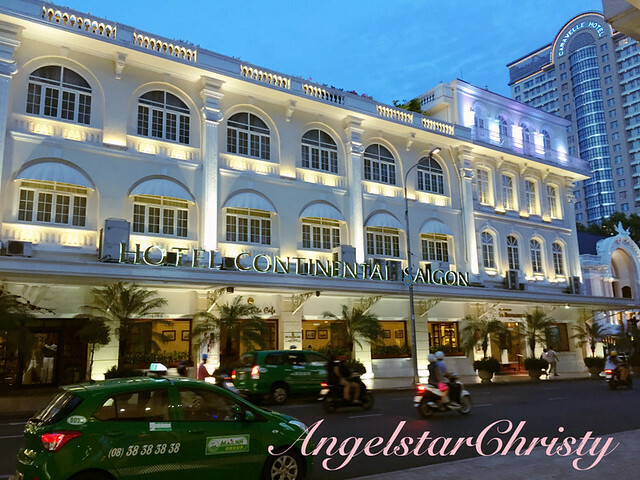 The familiarity of yesteryears and the sentiments borne by the south for the name, are the reasons the locals still refer to it as Saigon, and the residents here are most commonly known as the Saigonese. 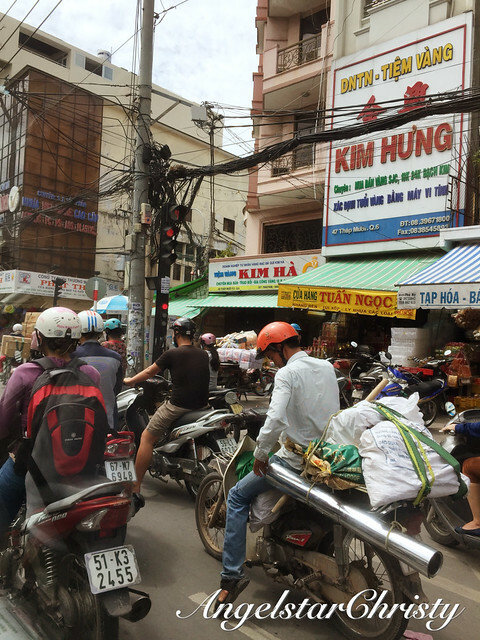 (I will also be using the terms HCMC and Saigon intermittently throughout my travelogue updates/stories). 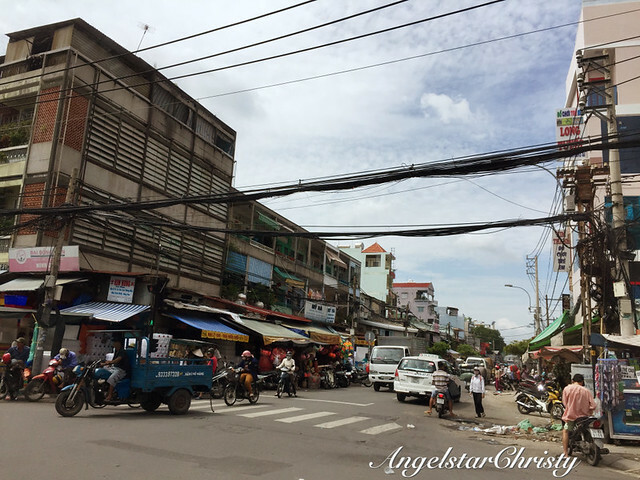 Though most prefer to refer to the city as Saigon, in reality, Saigon is particularly specific to the urban districts, and mainly District 1. The city itself has given me a startling welcome, with its vibrant and bustling atmosphere amidst the dense population. 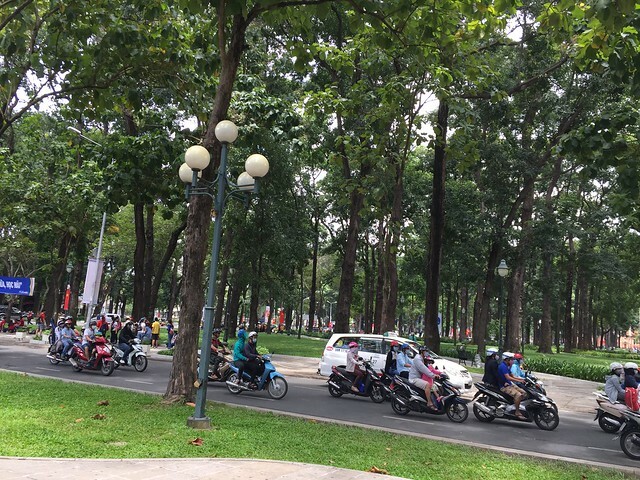 Ho Chi Minh City may be modern, yet memories of the past are scattered all over the entire city. From the architecture of the buildings retaining much of its colonial past (particularly from the French period) to the local lifestyle, there is just so much to see and enjoy from what the city has to offer. It is chaotic yet mesmerizing, and there is much to explore and to unravel from the city's hidden secrets. It is modern yet classic, and extraordinarily striking in its contrast. From modern skylines to secrets of the past, one will feel like they are traveling in a time machine as they move from one part of the city to another, or even from a location a stone's throw away. 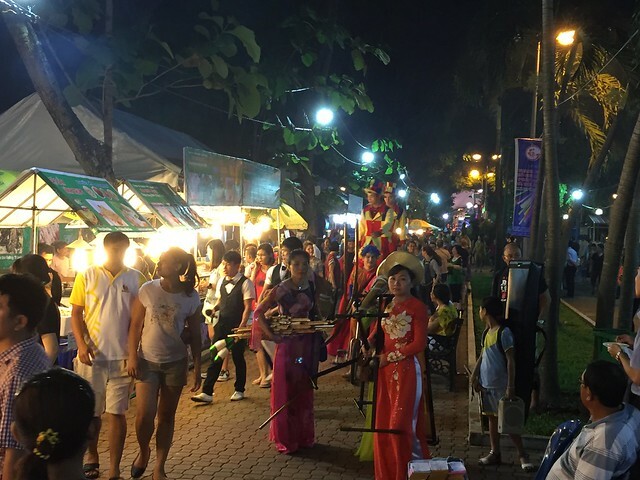 The strategic location of the city, surrounded by the rich and exotic lifestyles of her neighboring districts just add to the allure of this former capital of Southern Vietnam. You have only one day? Make sure you have more than that, to immerse in the city's offerings. Beware of the Sea of motorcycles (there are more than 5 million motorcycles in this city alone, along with 10 million population, you do the math), human beings and its bursting history. This is a city which is simply overflowing with stories to tell and sights to view. One thing's for sure, you will not be bored in this city. 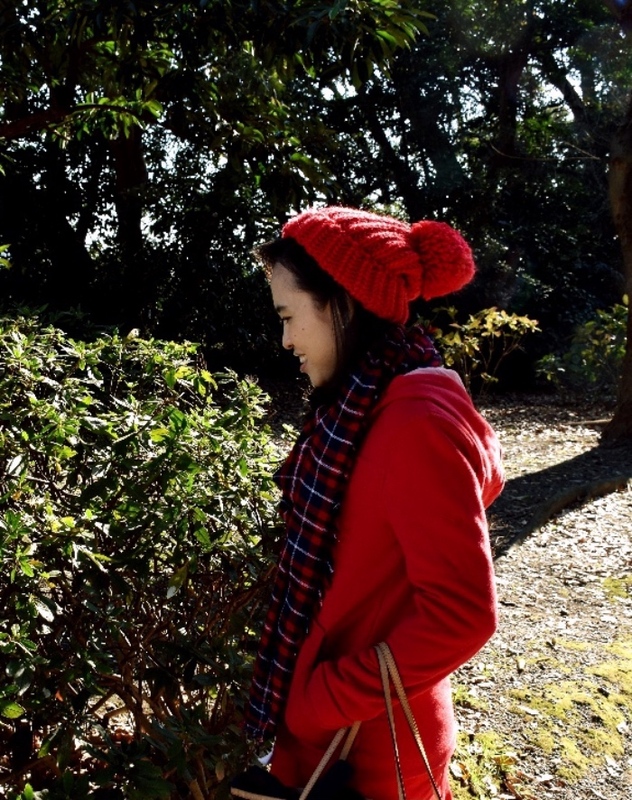 It is a continuous journey; back and forth between the past and future. Back to the Future, and further into the Past. That, is the very beauty of Ho Chi Minh City. This is not a sponsored/promotional post, and solely based on author's personal expenses, opinions and preferences and do not represent the general public.